Trezeguet's transfer news recap: Galatasaray, Inter or Kasimpasa stay? 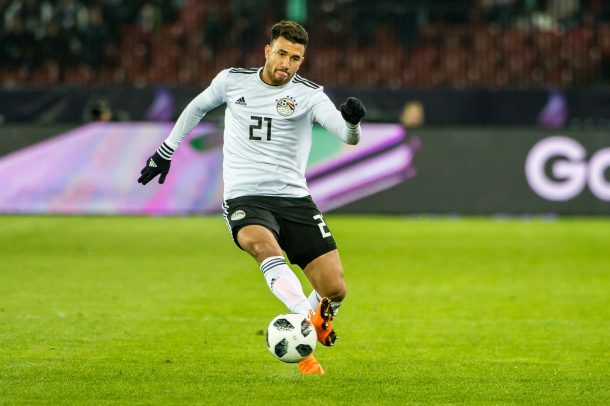 After tearing apart the Turkish Süper Lig, scoring 13 goals and assisting six, Egypt international Mahmoud Hassan Trezeguet has been heavily linked to many teams across Europe. 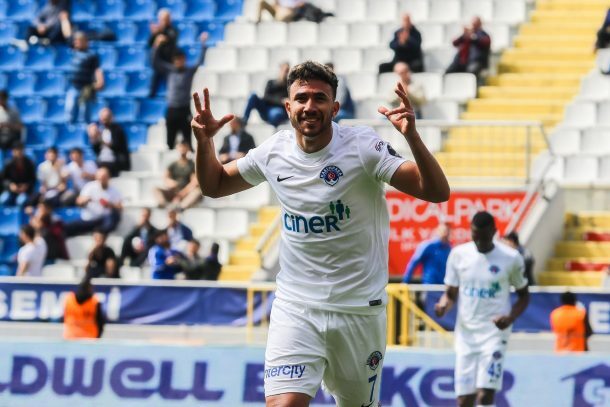 Predicting that there would be suitors coming for their prized winger, Kasımpaşa picked up the option on the Egyptian, making his transfer permanent. The former Al Ahly winger was very close to moves to Inter and Slavia Praha, but is now stuck in the middle of an awkward transfer saga. Recently, Trezeguet released a statement about his future at the Turkish club, admitting that his future is unclear. “I am still a player for Kasımpaşa. I am not certain whether I will depart or stay but I am not closing any doors & keeping all options open,” Trezeguet said. Clubs across Europe have stated their interest in the Egyptian winger, with Galatasaray, Inter Milan, and Slavia Praha among his most serious suitors. The highly sought after player has also been linked with many other European clubs, among them Watford and Olympique de Marsielle. KingFut’s Ahmed Khalil takes a look at how Trezeguet would fit into each club he has been linked with this summer. Trezeguet has been heavily linked to a stay in the Turkish Süper Lig, but would be switching the Kasimpasa blue for the Galatasaray orange. He stated that he would like to play for Galatasaray because of his desire to play in the Champions League. Galatasaray would give him the option to contend for a title in Turkey, while also playing in the Champions League. The 23-year-old, who has already proven himself as one of the best players in the Turkish league, would be able to dominate with an even better supporting cast and also win silverware in Turkey. The Turkish giants made multiple official offers for Trezeguet, but Kasımpaşa failed to reach an agreement with Galatasaray. Meanwhile, the likelihood of Trezeguet moving to the Turkish giants has decreased significantly with their loan signing of Nigerian starlet Henry Onyekuru. Trezeguet has been linked with a move to Vicarage Road this summer, with the Hornets reportedly offering €6 million to bring the Egyptian to England. The acquisition of a player with such pace and flair would be a huge boost to their squad for next season. The Egypt international would fit well playing alongside Watford strikers Andre Gray and Troy Deeney. The Hornets are a little short of quality in wide areas, and signing an out and out winger would have been a smart piece of business. After a phenomenal season, Trezeguet was heavily linked with a move to Ligue 1 outfit Olympique de Marseille. Last season, Marseille finished in fourth place with 77 points. Despite their struggles domestically, the club had a great run in the Europa League, finishing as runners-up after losing to Atlético Madrid in the final. Trezeguet would likely slot into the left wing position, moving Dimitri Payet into the center. Tactically, the slow tempo and skill based play of Ligue 1 would suit Trezeguet well. Realistically, Trezeguet would struggle to get many minutes at Inter Milan. But after a few loan spells, the Egyptian would be able to develop in a stress-free environment and eventually build his way up to a starting role for the Nerazzurri. After the breakdown of the Al Ahly product’s move to Inter, KingFut revealed that he was close to completing a move to the Czech side. Yet, the 23-year-old decided to put his move to the Czech club on hold despite agreeing terms with last-seasons Czech league runners up. It was later announced that Trezeguet’s transfer to the club had fallen through. The Czech club have struggled for the past four years, as they fail to score goals consistently and change their managers on a regular basis. Trezeguet, who is an astute mover with keen penalty box instinct, pace, and composed finishing, would add momentum upfront. The winger would help them reclaim the league trophy from last season champions Viktoria Plzen. Slavia Praha are excited for their upcoming period ahead after their takeover by a Chinese investor that has a big share in the ‘City Football Group’. 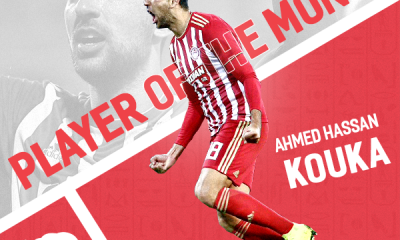 In case the former Royal Excel Mouscron winger decides to remain at Kasımpaşa for another season, as stated by the club, the 23-year-old will play a vital role to the team next season. He has already adapted to the club and will have an even better experience playing alongside his teammates. Being educated in the game in the lower leagues should help Trezeguet mature as a player in his journey before completing a move to a big club. Since I was a kid, I dreamt of being a sports journalist. My journey began a year ago when I created my first sports news page on Facebook, called "Sports Unlimited News" and from there on my passion for sports journalism grew stronger. Now, here I am a Sports News Reporter and Features Writer at KingFut.com where I will strive to add value and learn as much as I can.